October 22, 2018 by Cheree' Leave a Comment This post may contain affiliate links, which means if you click on a link and purchase something, I may earn a small commission (at no additional cost to you.) See my disclosure policy HERE. Oh my stars, how cute is this??? 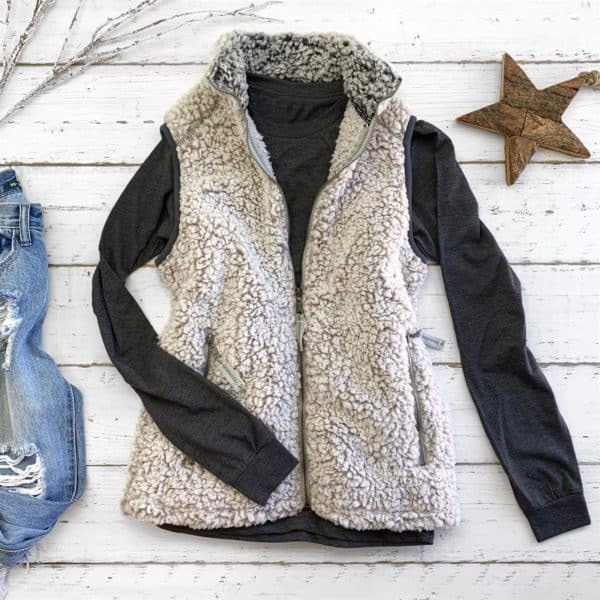 Jane has this super cute and super soft vest on sale today for $32.99 (regularly $65.00). This one comes in black heather and oatmeal heather. These are a bit expensive, but I've seen them in retail stores for much much more. Plus, they are one of the hottest trends this season! Shipping is $4.99 for the first item and $3.99 for each additional item. You can snag one HERE!